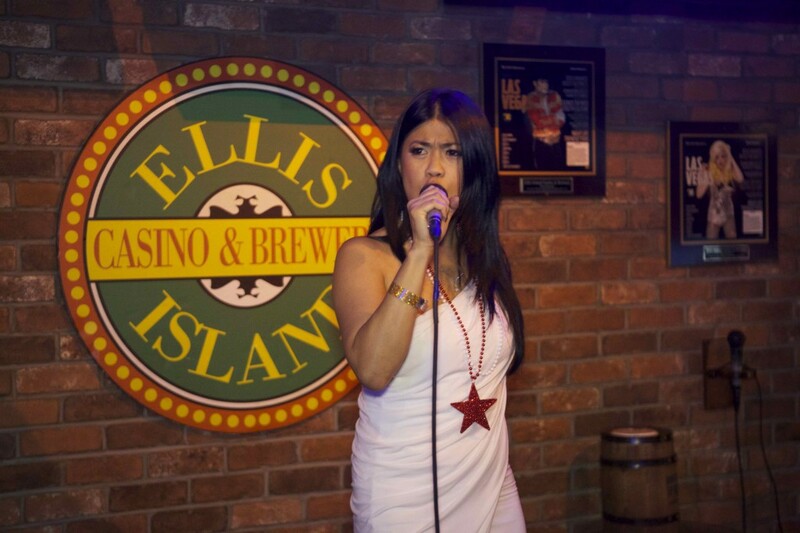 We don’t know what’s being sung, but any mention of Ellis Island makes us want a delicious beer. Photo courtesy of Ellis Island. 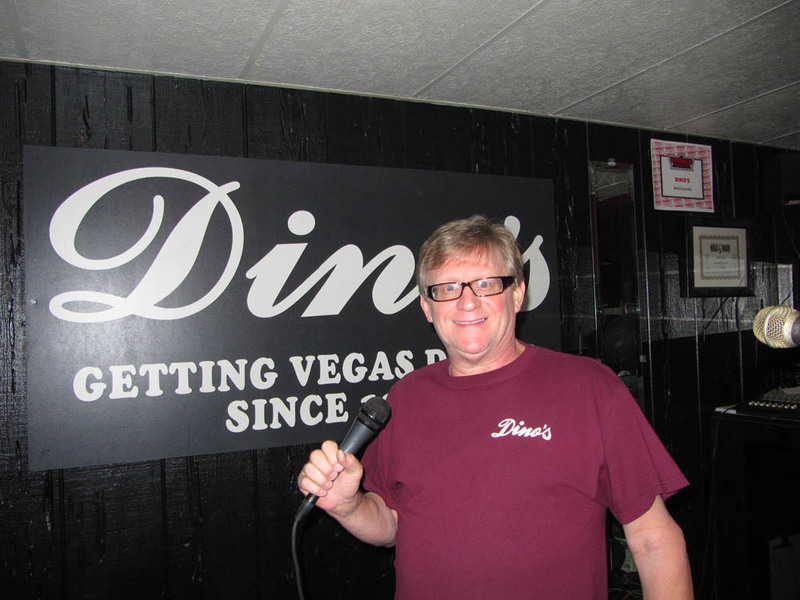 Danny G at Dino’s. We have it on good authority that he likes tips. Photo courtesy of Dino’s. We couldn’t find a karaoke picture we liked, so here’s a picture of a pretty puppy on their patio. 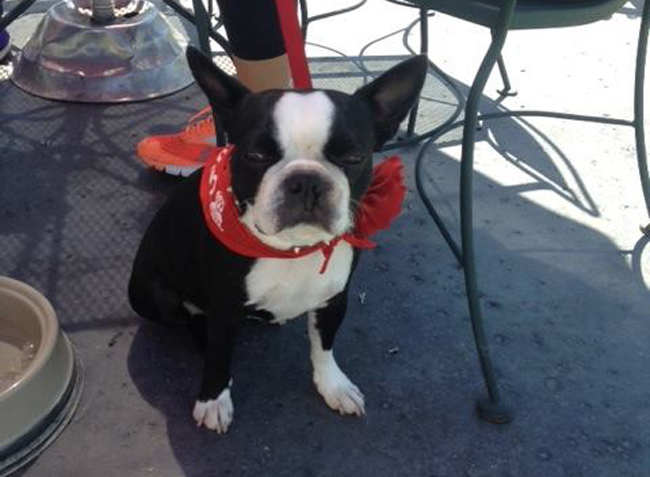 Yep, you can bring pets to their patio. Pretty puppy photo courtesy of Crown and Anchor. These two shall forever be immortalized for their performance. Good luck. 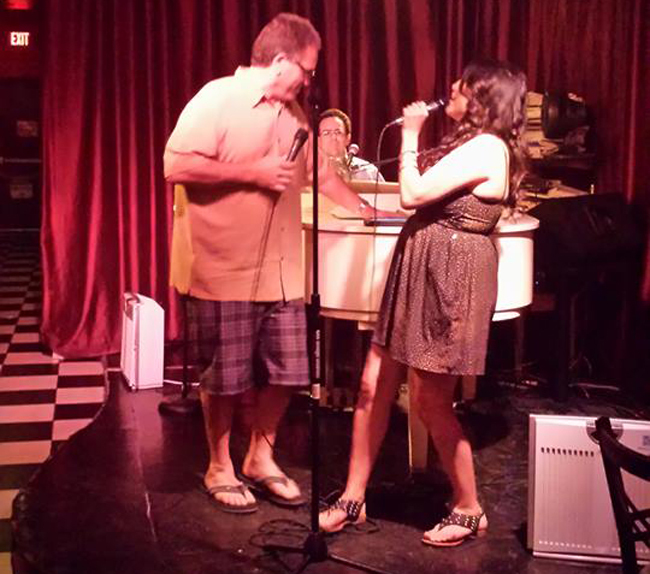 Photo courtesy of Don’t Tell Mama. 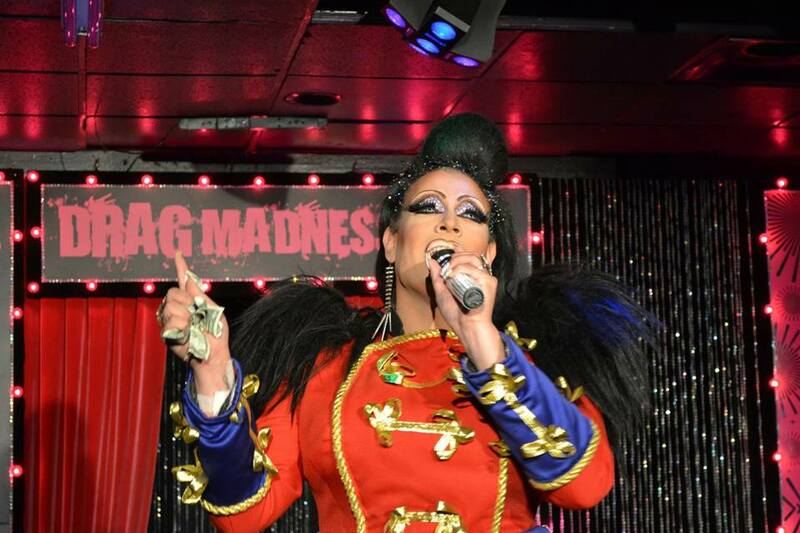 This is from their Drag Madness show. But if you look this good you’ll be welcome at karaoke. Photo courtesy of FreeZone. Doesn’t that microphone look lonely? You better go give it some love. 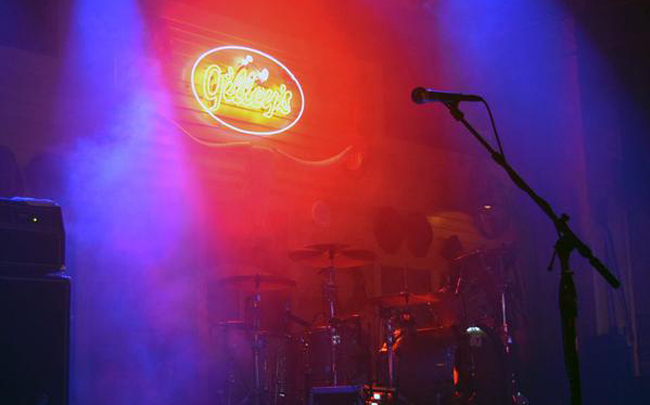 Photo courtesy of Gilley’s. Nope. Not karaoke, but it’s the next best thing. Note, mechanical bulls are not lulled into submission by beautiful songs. We tried. Photo courtesy of PBR Rock Bar. 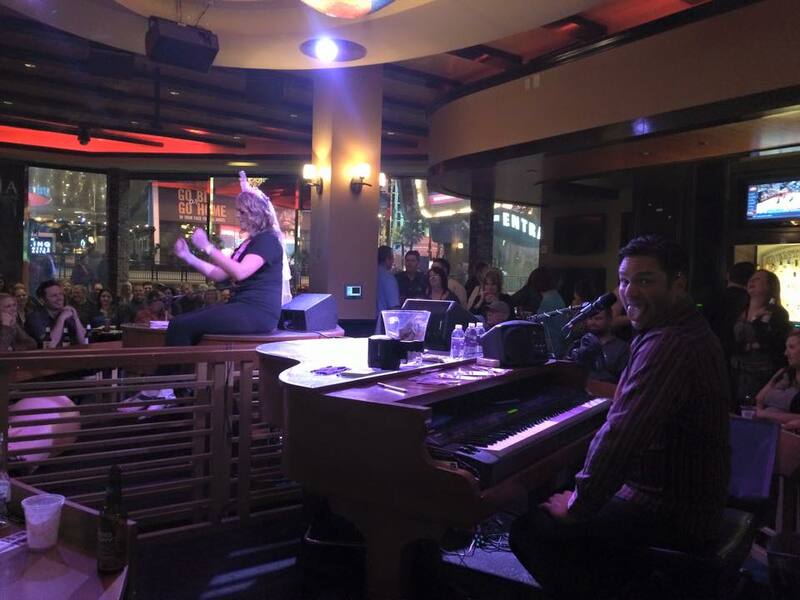 We don’t know what’s happening here but there’s a piano and booze and that’s good enough for us. Photo courtesy of Harrah’s. 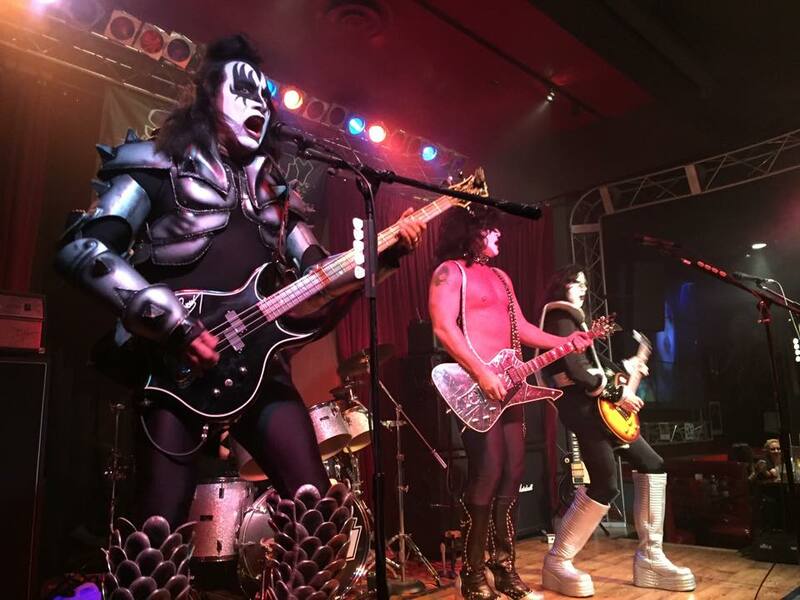 This is just a KISS cover band. You’re welcome. Photo courtesy of Vince Neil’s Tatuado Bar.